Cinema history is filled with memorable beasts and monsters that have terrified audiences for decades. Perhaps the scariest of them all are the other-worldly alien creatures depicted in 20th Century Fox's Alien franchise. 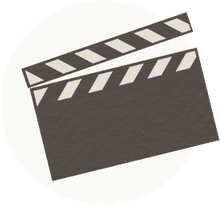 The various Alien films have a combined gross of nearly $1.5 billion worldwide over nearly 40 years and remain some of the most popular science fiction films ever created. In particular, the character Ripley—portrayed by Sigourney Weaver in the first four films—is a groundbreaking female action hero. With Fox mapping out future plans for multiple Alien-related films, cinema fans should familiarize themselves with the scariest creatures in outer space. "In space, no one can hear you scream" declared one of the greatest movie taglines in history, and the poster for Alien got it exactly right. Ridley Scott's Alien is a masterpiece of science fiction horror that depicts the crew of a spaceship—including the heroic Ripley (Sigourney Weaver)—being hunted by a parasitic alien creature. Alien was a huge box office hit and critical favorite, and it quickly became one of the most influential science fiction movies ever created. In particular, surreal artist H. R. Giger's designs for the alien have redefined how films depict alien lifeforms. Alien won an Academy Award for Best Visual Effects and in 2002 it was selected for preservation in the United States National Film Registry. It took seven years for a sequel to Alien to come out, but it was worth the wait. 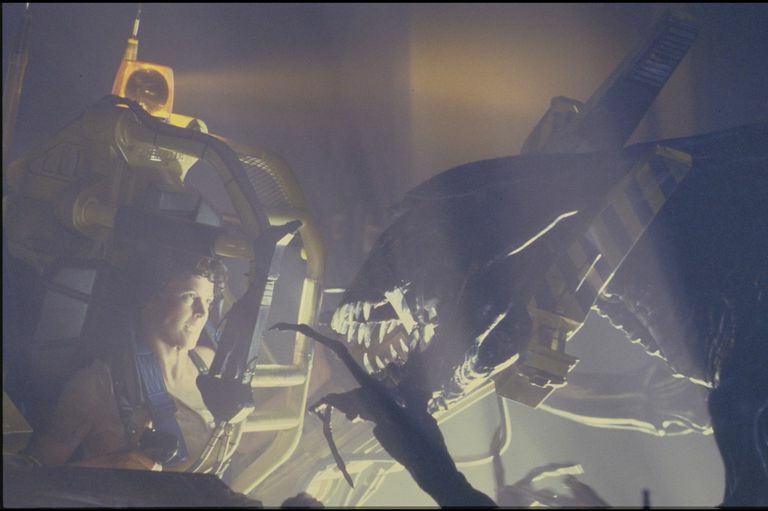 Director James Cameron upped the stakes in 1986's Aliens by pitting Ripley against a horde of aliens—including an alien queen—instead of a single creature. Along with Weaver, the film stars Michael Biehn, Paul Reiser, Lance Henriksen, and Bill Paxton. After two pioneering sci-fi films, Alien 3 is where the Alien franchise began to drift toward mediocrity. Weaver returns as Ripley, who crash-lands on a weaponless prison planet with an alien creature stowaway. Alien 3 was the first movie directed by David Fincher, but disagreements with the studio about the film (it began shooting without a finished script) and production issues took its toll on the final product. Despite the behind-the-scenes trouble and negative critical reaction, Alien 3 was a box office hit. French director Jean-Pierre Jeunet, who directed the black comedy Delicatessen, made his Hollywood debut with this third Alien sequel that takes place 200 years after Alien 3. Weaver returns as a clone of the original Ripley alongside an alien queen clone, but when the alien and its children escape Ripley is forced to destroy them all. Alien: Resurrection also stars Winona Ryder, Brad Dourif, and Ron Perlman. The screenplay was written by future Avengers director Joss Whedon, but it underwent many changes before it was shot. Like Alien 3, Alien: Resurrection was successful at the box office, but it was considered a major disappointment by critics and fans. 20th Century Fox decided to take the Alien franchise in a different direction with Alien vs. Predator, a crossover movie that pit one of the Alien franchise's aliens against a Predator alien from Fox's Predator franchise. The idea was based on several successful comic books that had already featured the extraterrestrials facing off. Alien vs. Predator was written and directed by Resident Evil director Paul W. S. Anderson. Alien vs. Predator was a box office success, but it received the worst reviews of the franchise. Many Alien fans don't consider these spinoffs as part of the "official" Alien franchise. Despite extremely negative reviews, the box office success of Alien vs. Predator ensured there would be a sequel. Directed by special effects wizards Greg and Colin Strause, Aliens vs. Predator: Requiem picked up where the prior film left off and heightened the violence from the original by featuring more aliens. However, it didn't fare as well with critics or at the box office. Ridley Scott returned to the Alien franchise with 2012's Prometheus, but not without some controversy. The issue with Prometheus wasn't so much what was in the film, it was what wasn't in the film. During the production of the movie, it was revealed that Prometheus would serve as a semi-prequel to Alien. Alien fans were excited to see Scott returning to the sci-fi/horror franchise he started. Prometheus starred Noomi Rapace, Michael Fassbender, Charlize Theron, Idris Elba, and Guy Pearce. As it turned out, Prometheus not only didn't adequately connect the film to the Alien universe aside from a few glimpses of recognizable Alien iconography, but it had plenty of unanswered questions of its own. Prometheus was generally thought of as a solid sci-fi movie, but it wasn't what fans expected from Ridley Scott returning to the Alien franchise—which was an Alien prequel that tied directly to the beloved sci-fi classic. Prometheus ended up none of those things despite what fans felt they were promised, though it certainly works as a standalone sci-fi movie. It was also the highest grossing Alien movie at the box office. Though Alien: Covenant was originally announced as a sequel to Prometheus, the film underwent a title change that linked it closer to the Alien franchise. Ridley Scott is again in the director's chair, and the title promises all the alien goodness missing from Prometheus and will start to reveal how these creatures came to be. Alien: Covenant stars Katherine Waterston, Billy Crudup, Danny McBride, and will again feature Fassbender, Rapace, and Pearce. South African filmmaker Neill Blomkamp, who directed District 9, has been attached to direct a sequel to Alien for some time though it has not advanced from initial planning stages. Ridley Scott has also expressed interest in directing at least one more prequel film, tentatively titled Alien: Awakening, although he hasn't ruled out directing even more. One thing is certain—20th Century Fox has every intention to continue this franchise, so there will be more Alien films to come.